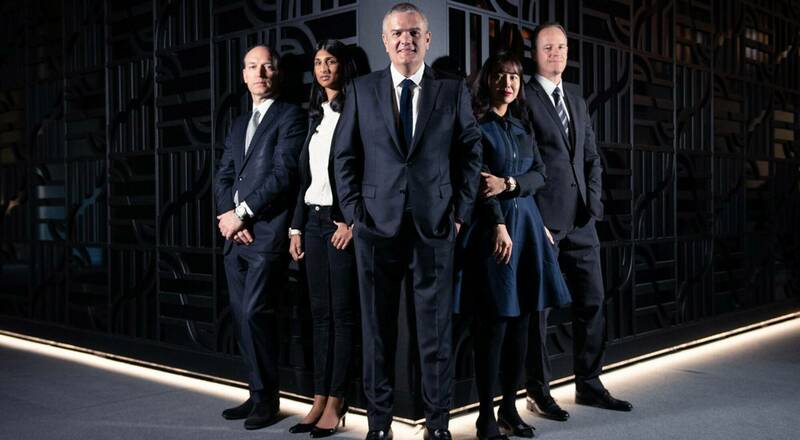 The long partnership between Hublot and Ferrari is unique in its genre, a boundless source of creative inspiration that has linked the two prestigious leaders since 2011. 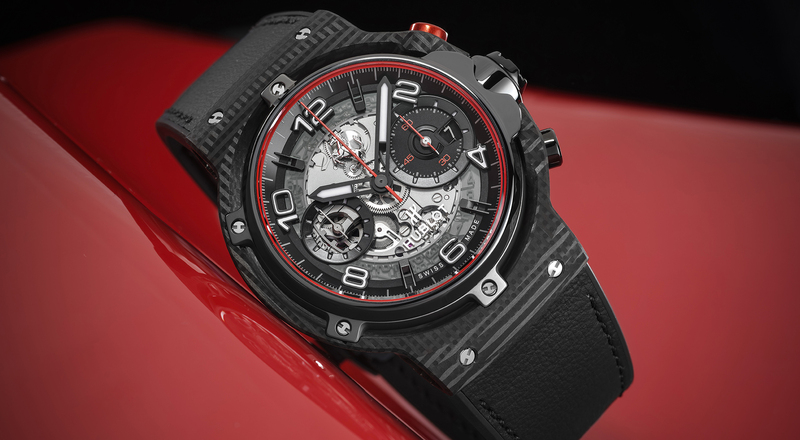 This year Hublot is celebrating the 90th anniversary of the Scuderia Ferrari, which Hublot CEO Ricardo Guadalupe calls “a monument to motorsport and a modern racing team that is competitive and at the cutting edge of technology.” Hublot is honoring the Scuderia Ferrari with a limited-edition Big Bang Scuderia Ferrari 90th Anniversary watch. Reflecting the rich history and heritage of Scuderia Ferrari and its Formula 1 performance, the model has been created in three limited editions, each in one of the team’s colors. 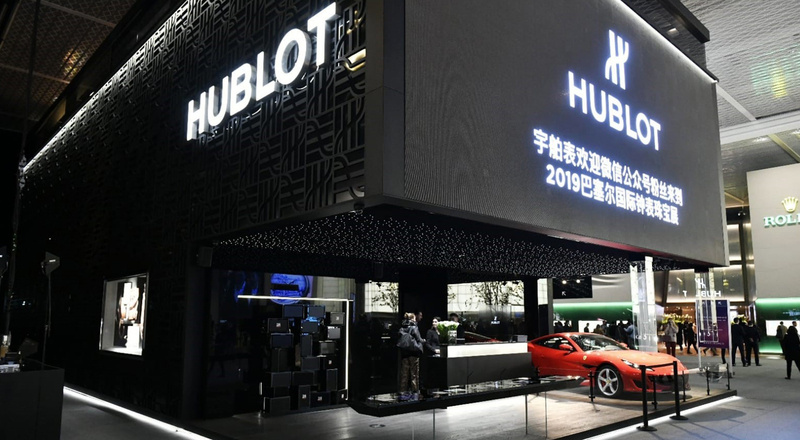 Continuing its collaboration with Ferrari, Hublot also unveiled the Classic Fusion Ferrari GT, a watch whose innovative design integrates the new Unico manufacture movement and the distinguished, dynamic lines of Gran Turismo very high-performance luxury cars. This collaboration also for the first time enabled Hublot teams to fuse their skills with those of the “Centro Stilé Ferrari” design center, creating new bridges between watchmaking motorization and automotive design. 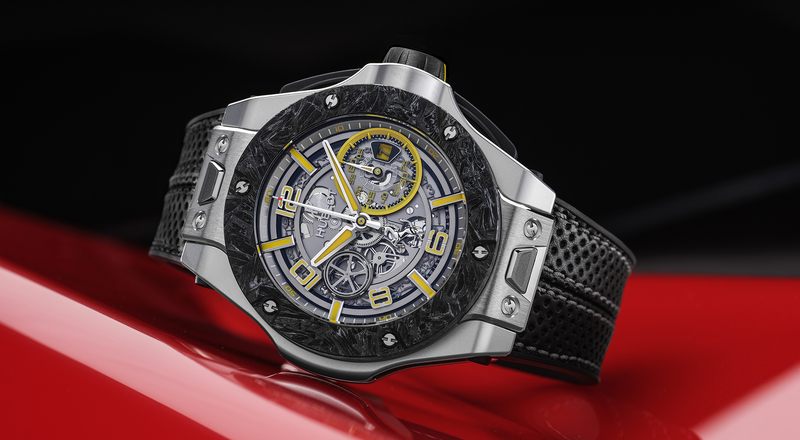 While Hublot finds natural resonance with its taste for mechanical innovation and aesthetic refinement in the world of automobiles, it also engages with other universes such as tattoo art. With the new Big Bang Sang Bleu II, the passage of time is marked geometrically by elongated diamond-shaped hands, inspired by the graphic work of world-renowned tattoo artist Maxime Plescia-Buchi. The motif spans the case, juxtaposed against the hands to reveal the Unico movement through meticulously interlaced geometric lines.